Personal Trainers love to post pictures of themselves as an advert as if to say 'I know how to look very lean'. 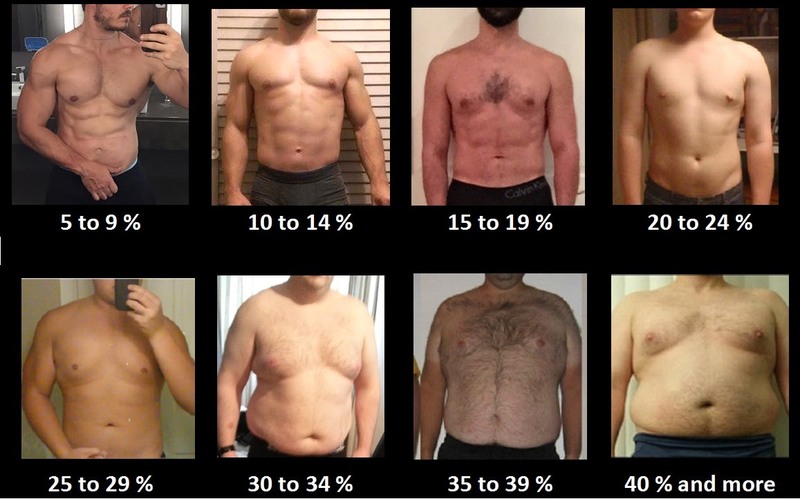 I dare say that most like to show off a pre-competition physique coming in at around 4% to 5%. But let’s talk about health and body fat. You need 3% fat to sustain life, so being close to that for a competition level of 4% is life threatening…… perhaps more so than being overweight by a few pounds. The number of deaths due to low body fat are numerous. The reality is that it makes for a great PT picture, but to see every vein and muscle popping is far from a picture of optimum health. Furthermore I train in gyms with competitive body builders and most of the time they are heavy and bloated as they pack on the calories to build muscle. Fact - very low body fat poses a serious risk of a cardiac event, makes you tired, weak, irritable, and susceptible to illness and lowers testosterone. The picture does not tell the whole story.. So what is healthy? Somewhere from 10% to 20%, is a very good level for a man and a bit higher for women. At this level you feel good, have energy and less likely to have bad moods. And if you view health is a holistic way you must have an eye on the psychological and well as the physiological aspect. So what about me? At age 43 I hit around 6% and it didn’t feel as good as it looked, age 48 I was 110KG and 8%, that felt good, and now at age 61 around 13%, a very acceptable level for someone my age. There is a right way and a wrong way to look leaner and shed the unwanted pounds. There are so many diet plans but most focus on calorie restriction diets for weight loss. Definition: Calorie restriction is a diet with less than your daily calories burned. Therefore if you understand how to calculate the numbers you might end up with a number of say 2,250 calories to maintain. So if you then decide to reduce intake to say 1,500 (750 cal deficit) that is setting up a negative balance. Here is the problem, restrict calories too much and without a well planned and executed exercise programme diets like this will eat more muscle than fat. When the weight goes back on it will be more fat than muscle, especially so as you age. The result is likely an increase in body fat as a percentage. Guess that is not what you are looking for!! This explains the vicious cycle that diets in isolation sets up for reducing good weight along with the bad and in most cases fail to produce a long-lasting and desirable improvement in body composition. Contact me for a free consultation if you are interested to find out more about your current body fat percentage and how to improve that. Final word, we only have one body and how we maintain it is up to us. Very few of us invest the necessary physical and mental effort to achieve reasonable levels of fitness and wellbeing. I use the word invest because our fitness impacts on our most valuable asset, our health, quality of life and our income generator that turns up at work. Charles is originally from the historic town of Bath in England. He came to Hong Kong in 1993 and built a highly successful career providing Private Banking and wealth management services to High Net Worth clients across Asia before deciding to change directions and follow his passion for fitness by becoming a fitness coach. 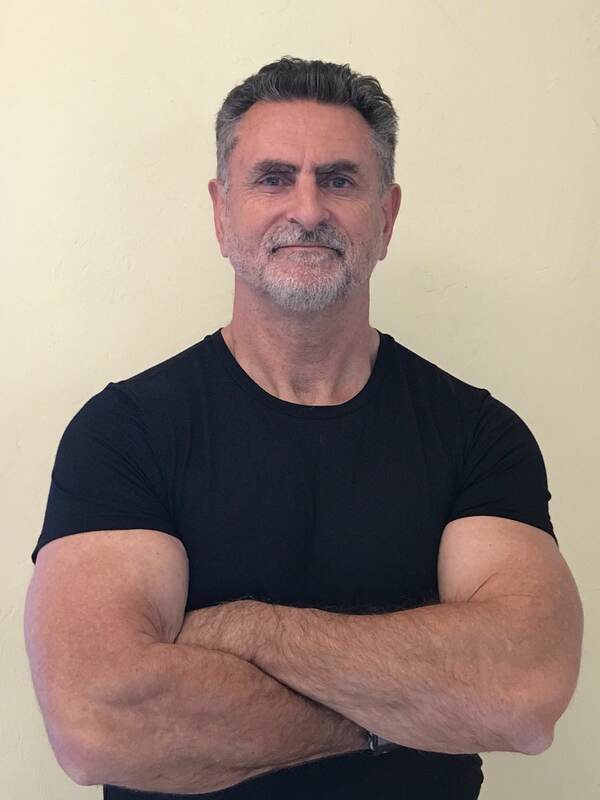 Having started his own fitness journey over 40 years ago – he is a second Dan in Karate, avid skier, time trail cycle racer, and always in the gym - Charles has developed a deep understanding of a number of tried and proven training and fitness methods. Furthermore, he understands the stresses of HK life, and that mature individuals experience physiological changes. However, Charles is personal proof that it is possible to do a high pressure job, run a family, be in your 40's to 60's and still enjoy fitness. Whatsapp Charles on 9195 9288 for more information.